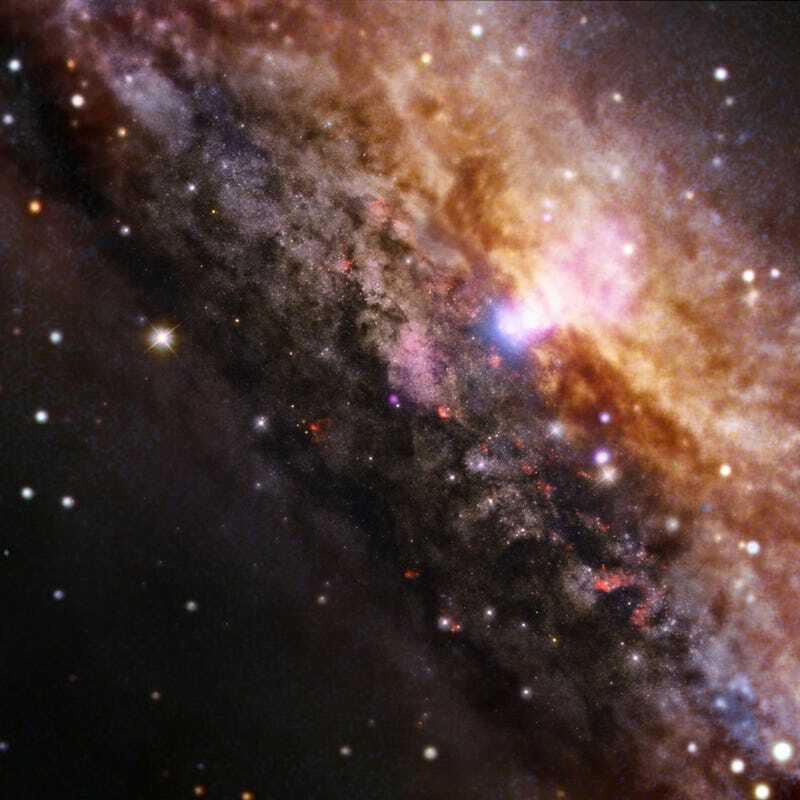 The Chandra X-ray observatory has been observing the universe in X-ray wavelengths for fifteen years. The space telescope's scientific highlights gallery has so much gorgeous X-ray goodness that it's hard to pick favourites. Need to be swept away by the sheer beauty of space? We've got you covered. I first stumbled upon the gallery while celebrating the Chandra X-Ray Observatory's birthday. Now I'm left agog and overwhelmed by selection, struggling to even limit the options down to a handful to talk about here. I do have a slight preference: the images where X-rays paint just part of part of a massive spectrum beyond the visible range and each telescope contributes its own layer tickle me with delight. What are you favourite images from the Chandra space telescope? Share them in the discussion! Does this packet of X-ray astronomy have you itching for more? Here's a collection of images featuring optical and radio light by two of NASA's other Great Observatories.